Can You Use a Swimming Pool Cleaner with a Swimming Pool Heat Pump? Sometimes we do not know how things work, so we do not understand how those things interact with each other. In this case, perhaps you do not know how a swimming pool heat pump works, and you do not know how a swimming pool cleaner works, so you do not know can you use a swimming pool cleaner with a swimming pool heat pump. Hopefully, by explaining the process behind the functions of both, you will be able to understand how the two interact with one another. 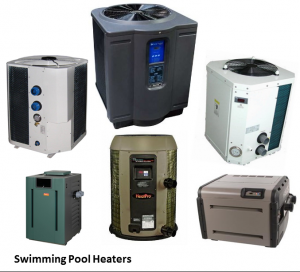 Grand Slam Pools offers pool service Naples Fl depends on for pool heat pump advice. A swimming pool heat pump maintains a raised temperature throughout the water of a pool. By intaking water, heating it, expelling it, and recycling it again, the raised temperature is maintained throughout the water. This cyclical process is fairly simple. Swimming pool heat pumps run on electricity. A swimming pool heat pump is not a type of generator. Electricity travels to your heating system through underground wiring. The main heating mechanism of a swimming pool heat pump runs on convection currents. The water is heated through direct contact with the heating element. As the water heats, it spreads heat to the rest of the surrounding water, so every part of the water does not have to touch the heating element. Water is taken in through a small whole that leads to the filter. Afterward, the water moves further through the piping to the swimming pool heat pump. The water comes in contact with the condenser heating element of the swimming pool heat pump, and the temperature of the water is raised. As long as electricity is available to power the swimming pool heat pump, the parts of the swimming pool heat pump are intact, and the flow of water is suitable, the swimming pool water remains a constant controlled temperature. Keep in mind if the flow of water becomes interrupted, the water will not contact enough heat to remain at the raised temperature. In-Floor: These are built into the framework of a swimming pool’s walls when it is constructed. The system utilizes nozzle heads that direct debris towards a central drain within the pool. Debris flows through the main filtration lines of your pool. In turn, the nozzles use streams of water from the main circulation system to do their pushing. Suction-Side: The circulation of the filtration pump creates power to remove debris from the bottom of a pool, and the force keeps the cleaner moving. Most of these require human guidance to target debris. This is a fairly cheap, and easy, solution to swimming pool cleaners because they are quickly connected to the main filtration line, but they can be slow moving. Robotic: An innovative cleaner that runs on pure electricity moves around the pool on its own, sucking up debris while containing it in a bag as it goes. Overall, swimming pool cleaners are safe to use with swimming pool heat pumps, but different types of swimming pool cleaners have different effects on a swimming pool heat pump system. In-floor swimming pool cleaners may actually increase the benefits of a swimming pool heat pump by helping circulate water through hard to reach spots. If you have a suction-side swimming pool cleaner, you might not want to run it all the time because it can cause long term wear on your heating system’s effectiveness by blocking water flow. Robotic swimming pool cleaners operate virtually completely separate from a swimming pool heat pump system, so they have no positive, or negative, effects. If you have a heated swimming pool that was not built with an in-floor swimming pool cleaner, you might want to invest in a robotic swimming pool cleaner to prevent any damages to your pool’s heating system.